In today's digital world, the need for vision support starts early. 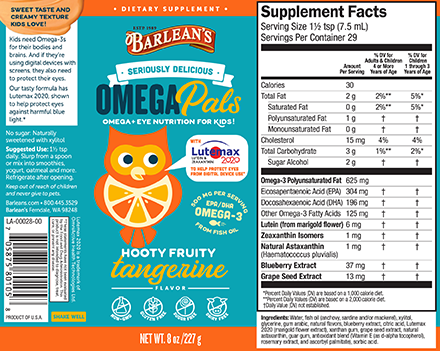 That’s why we made Omega Pals Hooty Fruity Tangerine eye support formula as a seriously delicious way for kids to enjoy the essential nutrition they need. 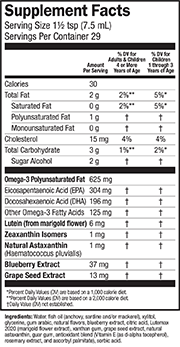 Lutemax 2020 is a trademark of OmniActive Health Technologies Ltd.